Front: (1) Syrian refugees at Turkish border, photograph by Halil Fidan, 2013. (2) Norias of Hama, historic waterwheels located along the Orontes River in Syria. 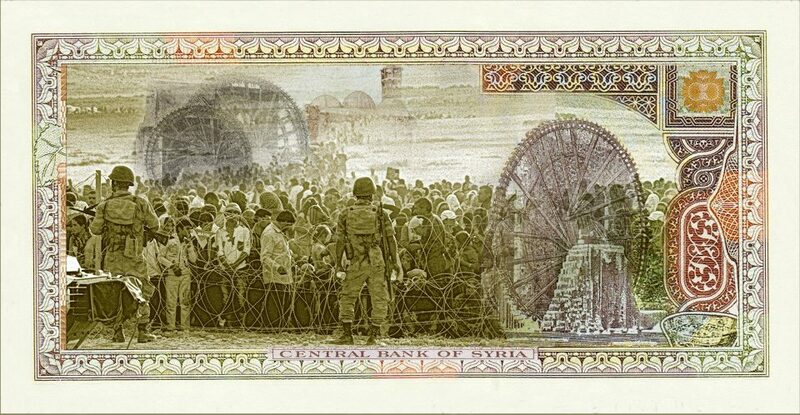 (3) Syrian banknotes. 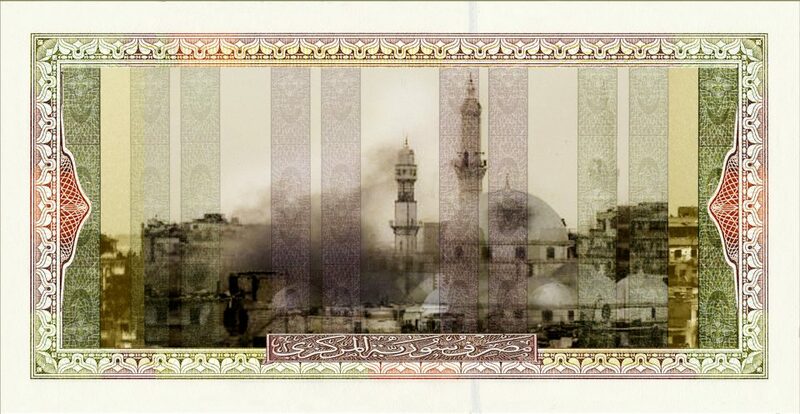 Back: (1) Aftermath of Khalid ibn al-Walid mosque destruction in Homs, Syria. The mosque served as a symbolic site for anti-government rebels. The centuries old mausoleum, a sacred pilgrimage site, was significantly damaged and burnt by the Syrian army’s operation against the rebels in 2013. 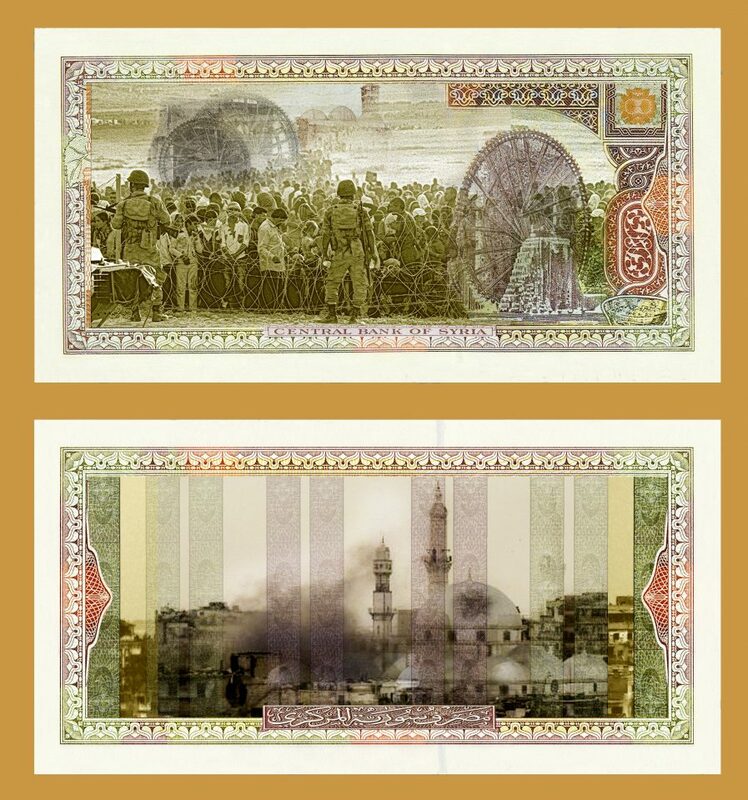 (2) Syrian banknotes. 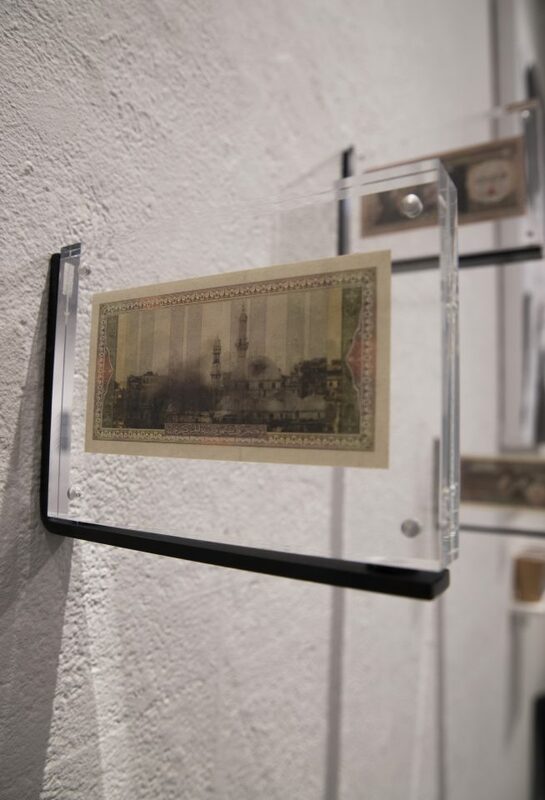 Drawing attention to the Syrian refugee crisis, this banknote stands in solidarity with more than 5 millions of Syrians who have been displaced and lost their homes since 2011 due to the Civil War. Many cities have been torn apart and suffered “collateral damage” during the Syrian Civil War. 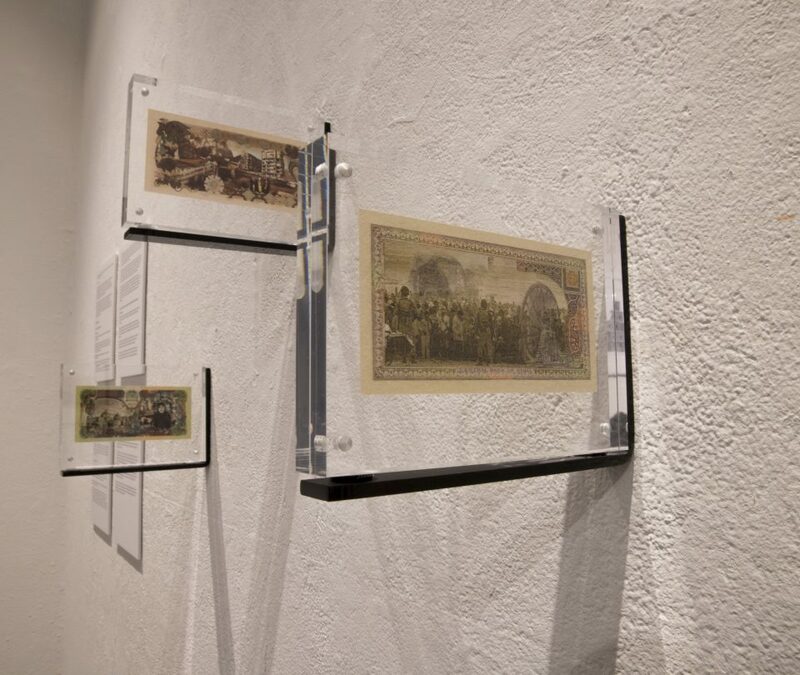 Irreplaceable architectural/cultural heritage and sacred sites were targeted by government forces, rebels, and ISIS.